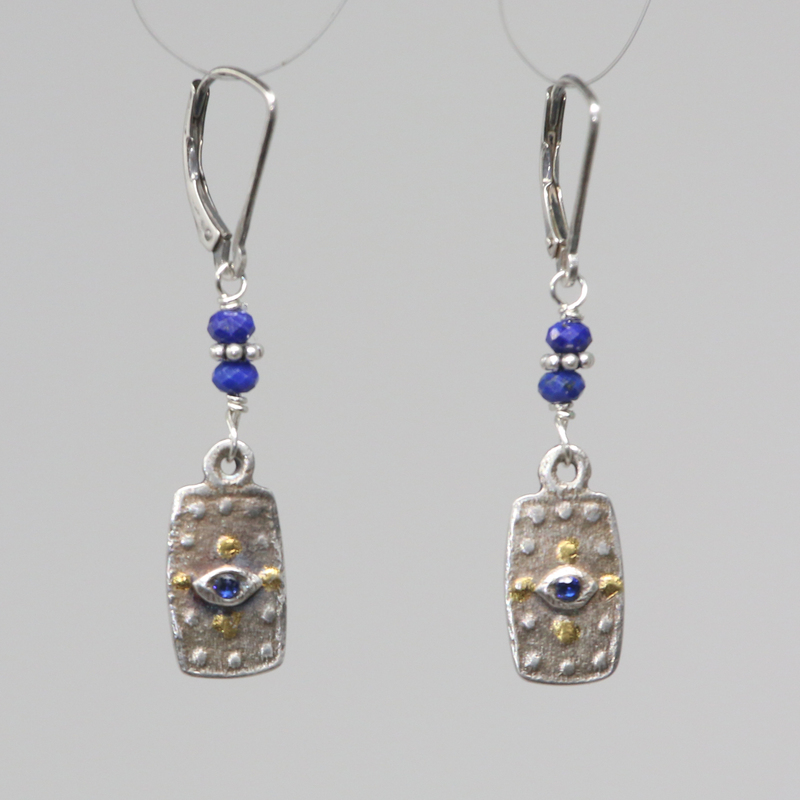 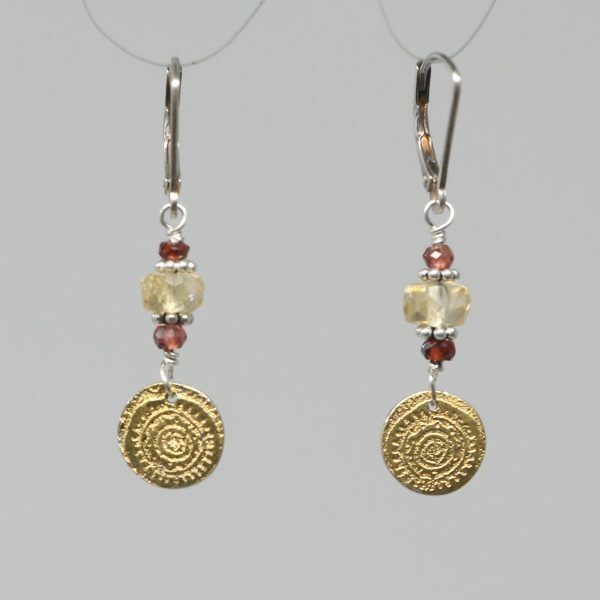 Evil Eye charms with lab sapphires at center handmade in sterling silver with 24K gold embellishments. 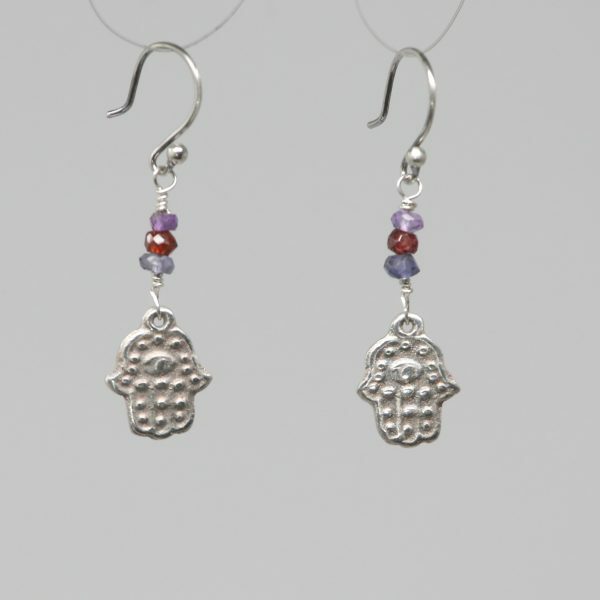 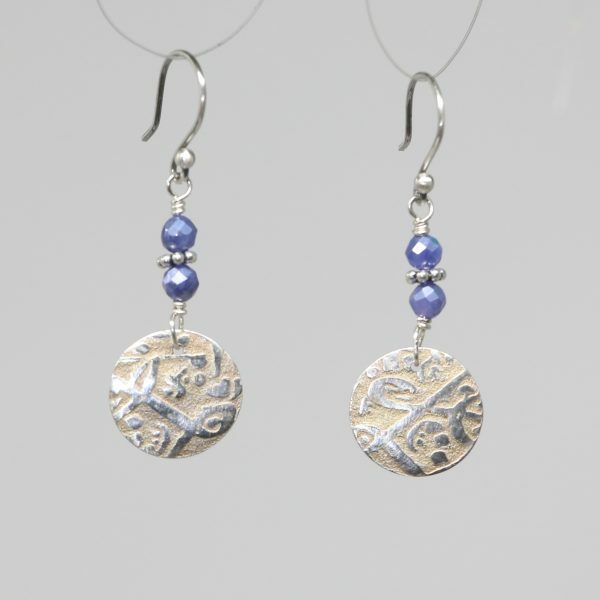 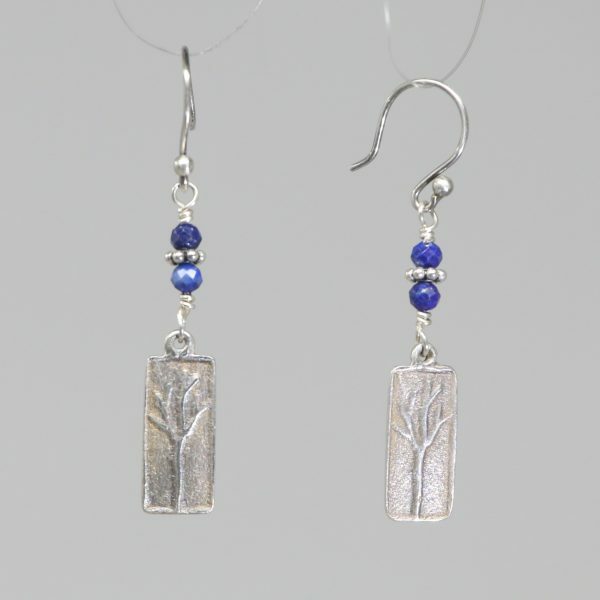 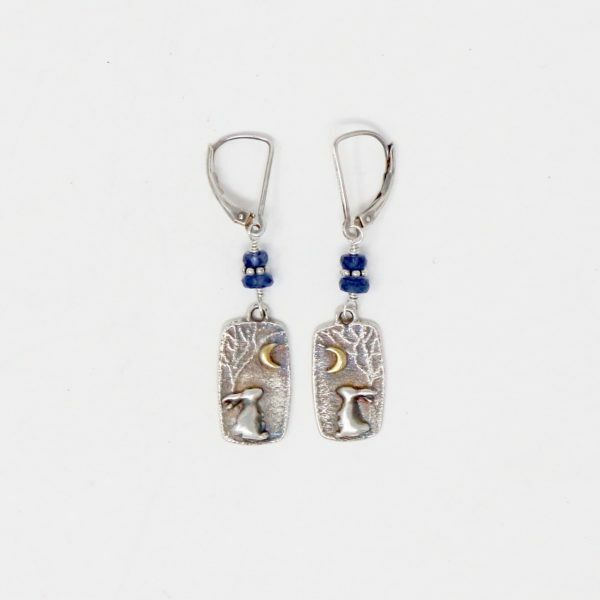 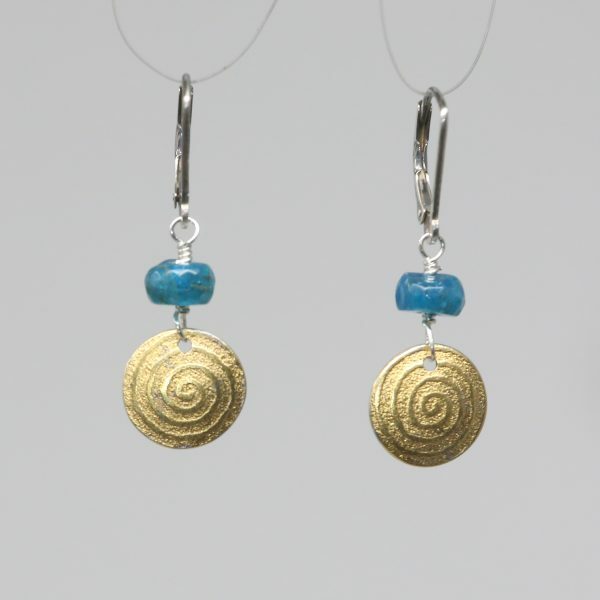 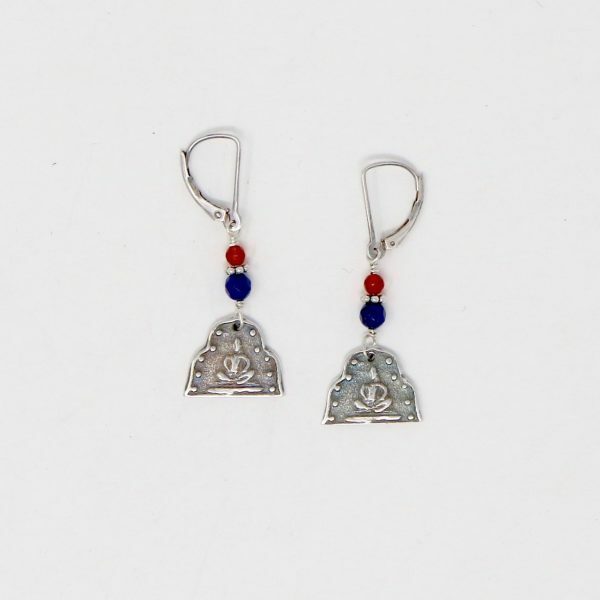 Charms are suspended by lapis & sterling silver beads with sterling silver lever backs. 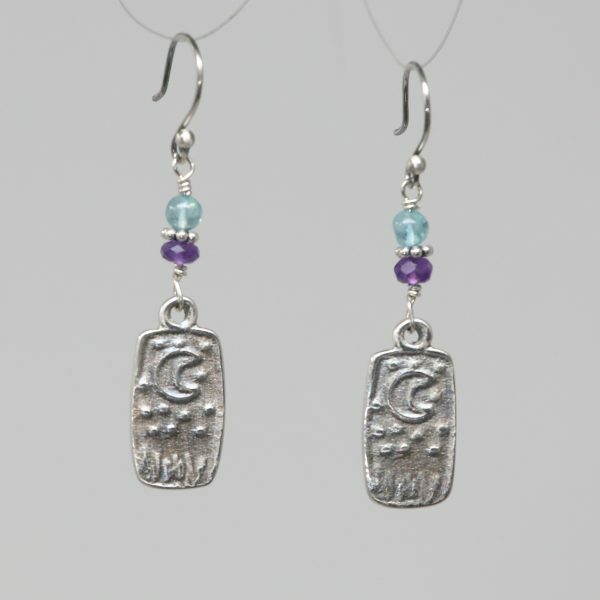 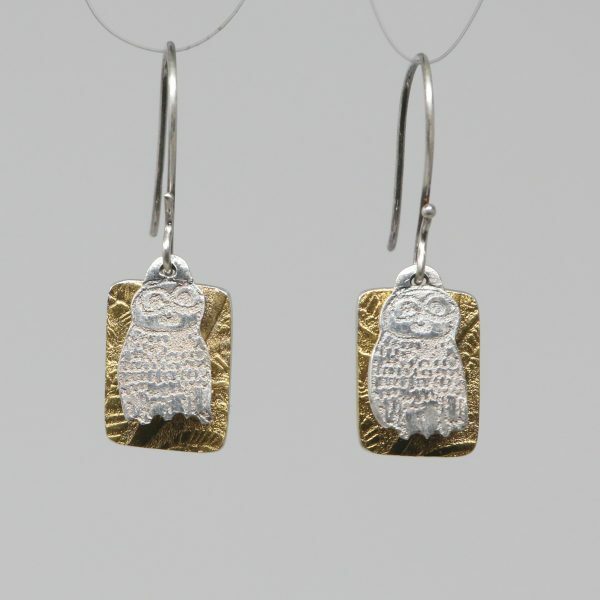 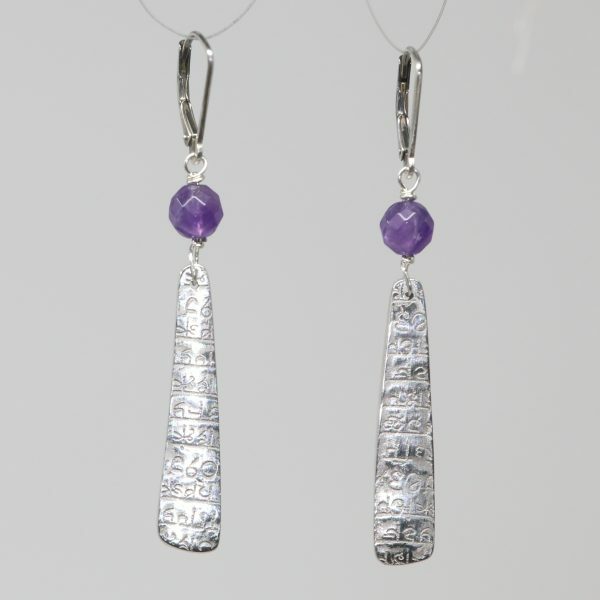 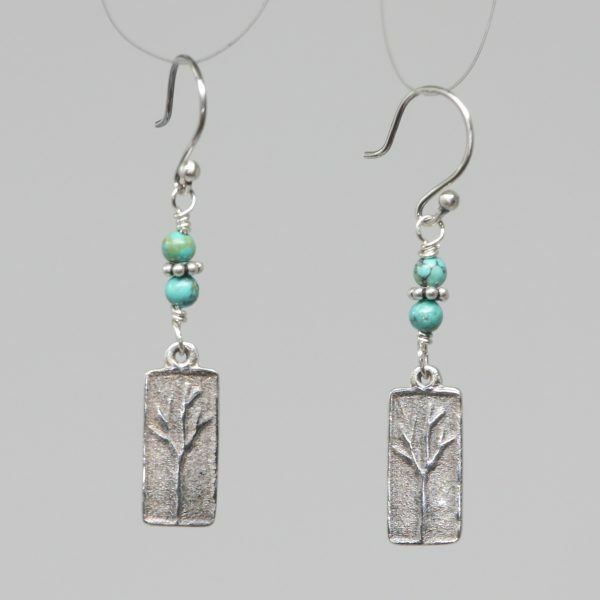 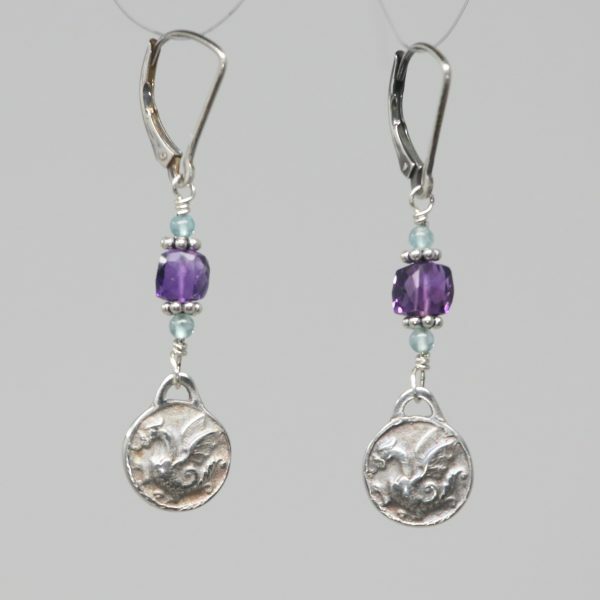 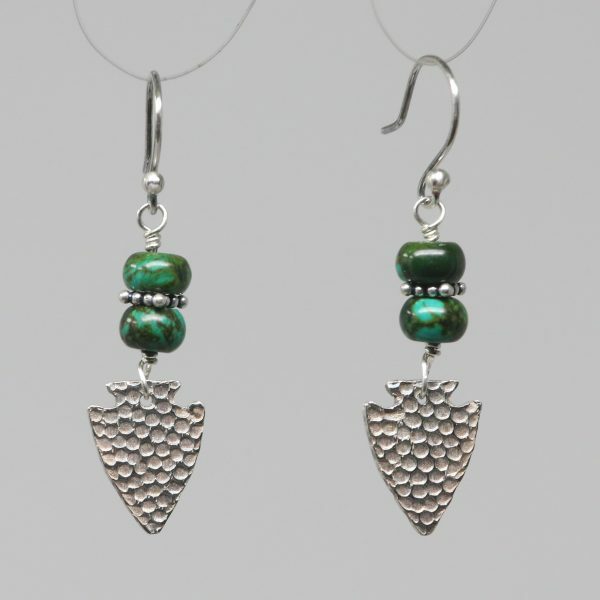 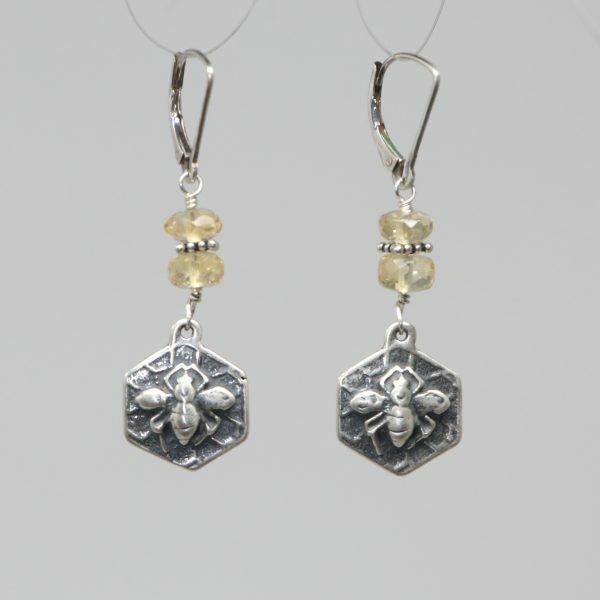 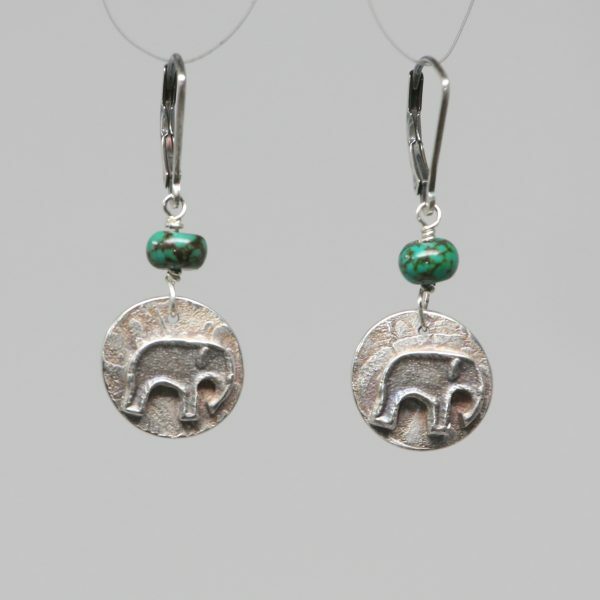 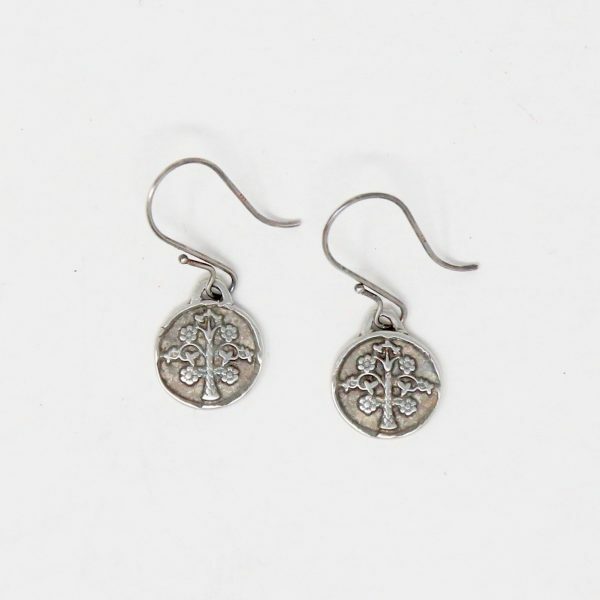 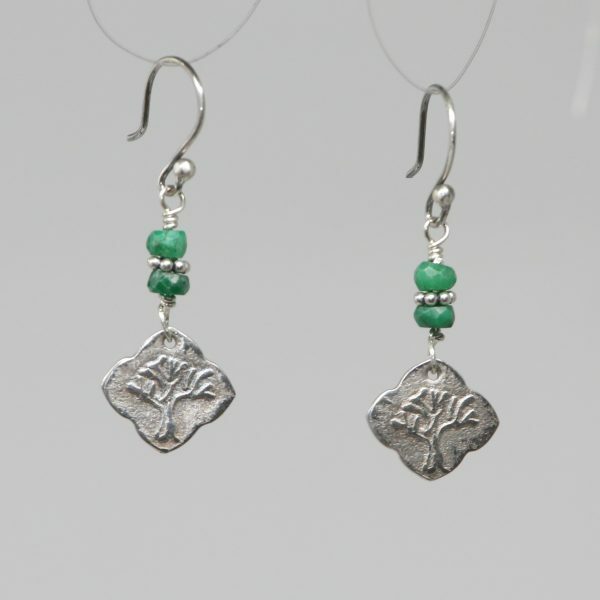 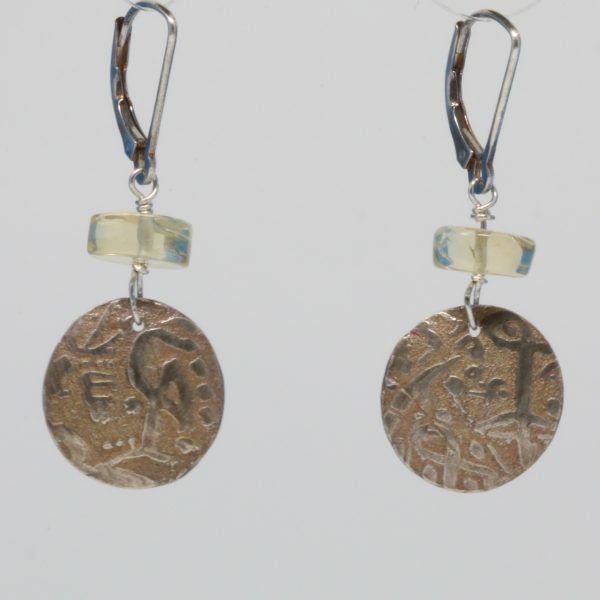 Length of earrings from top of ear wires to bottom of charms 1 11/16″.